Published April 4, 2016 at 3612 × 2389 in Portfolio. Empire Blue Cross Blue Shield wanted us to develop content for a “Welcome Kit for New Physicians” that would be sent to new participating doctors and health care providers. We created a kit that articulated essential thoughts and points-of-view about participating with Blue Cross Blue Shield, including concept tenements, identi¬fication of topics, and guidelines for health care providers. The kit was extremely well-received by the client and physicians. It included a “Welcome Mat” with a set of topical pieces. 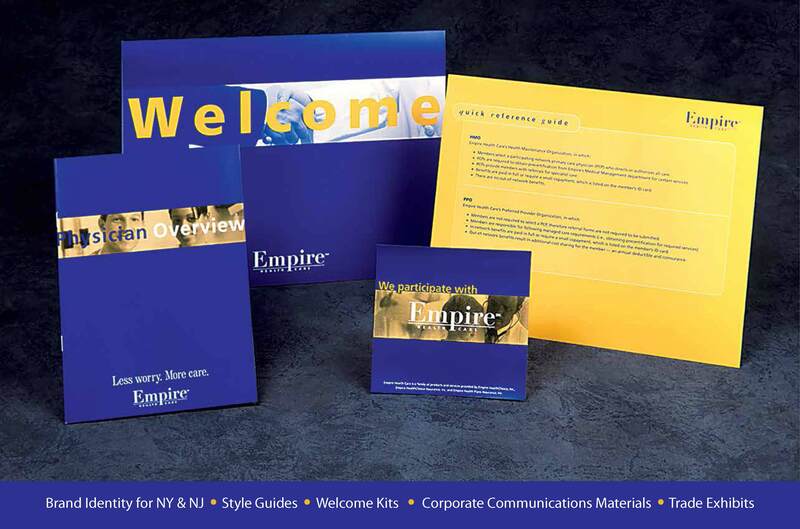 The first was an overview of Empire for participating health care providers, the second was the health resources available to Empire members, and the third was a guide to network referrals.